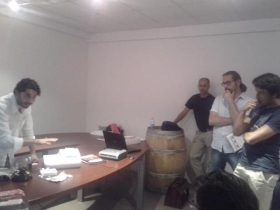 The meeting about oenological techniques and wine analysis took place in the meeting room of Vinifera Nieri. 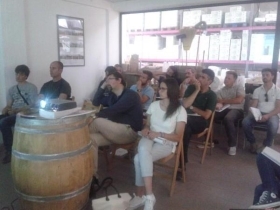 Dr. Simone Bellassai, CDR WineLab® Specialist, took part in the meeting, organized by Vinifera Nieri, Laffort Italia and CDR Srl and presented to the audience of oenologists and winemakers coming from the near area the new CDR WineLab®. The new version of CDR WineLab® like the classic version of the system for wine and must analysis, already used by many wine comapanies, wineries and winemakers, is based on a photometric principle and on the optimization of the official reference analysis methods. Like last year, we followed the event updating live the CDR WineLab®‘s twitter account with #enocamp hashtag. The meeting opened with the relations of Laffort tehnicians, Guido Parodi and Antonio Grazietti: amongst the topics they spoke about there were the use of sulfur dioxide , the latest Laffort’s studies on reducing it during vinification and the nutrition and metabolism of Nitrogen. Afterword Simone Bellassai presented the new CDR WineLab®, carrying out some demo tests with the analyzer. Some wine samples were analyzed with CDR WineLab® checking organic and inorganic Yeasts Assimilable Nitrogen (YAN), important anlytical parameters for monitoring the alcohol fermentation because allow to measure the absorbance of the Nitrogen from the action of the yeasts. 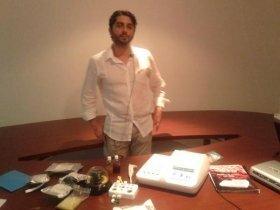 Then it was carried out the analysis of Gluconic Acid, a quality parameter that has been particularly important for winemaking during the 2014 grape harvest. The CDR WineLab®‘s panel of analyses is wider than before and allows to analyze up to 16 samples at a time, with the possibility to monitor 16 tanks simultaneously, but also allows to perform more analyses, of different kind, on the same sample. 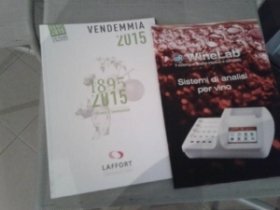 It has been so an important overview about oenological techniques and wine quality control direclty in winery, thinking of grape harvest 2015. 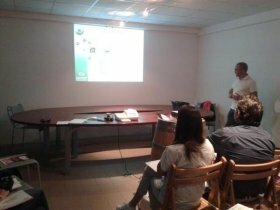 Enocamp: oenology, winemaking and wine analysis was last modified: May 22nd, 2017 by CDR s.r.l.